ONE Championship (ONE), held an open workout for competitors of ONE: TOTAL VICTORY at the Celebrity Fitness gym of FX Sudirman in Jakarta, Indonesia on Thursday, September 14. 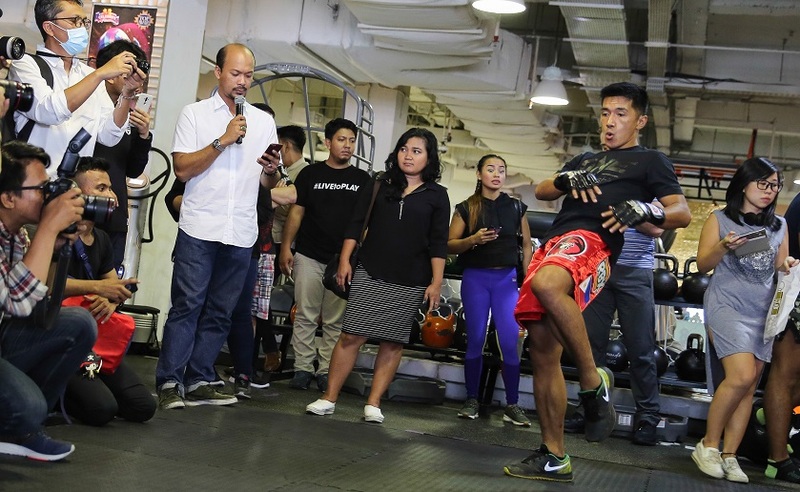 The workout featured Filipino standout Geje “Gravity” Eustaquio, as well as homegrown talents such as “The Terminator” Sunoto, Stefer Rahardian and Adrian Matheis who showcased their martial arts techniques in front of fans and media. Top flyweight contender and former world title challenger Geje “Gravity” Eustaquio of Baguio City, Philippines, is one of the most skilled martial artists in Asia, and a highly-decorated wushu practitioner. 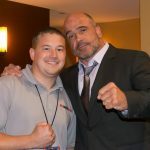 His solid striking and grappling skill set has led to huge victories over the course of a six-year professional martial arts career. Training in the high altitudes of the Philippines’ mountainous region, Eustaquio hones his craft alongside world-class teammates at the fabled Team Lakay. In his most recent bout, Eustaquio defeated fellow striker Anatpong Bunrad via split decision in a rematch. Known for his incredible ability to keep calm in the face of adversity, Eustaquio is set to headline ONE: TOTAL VICTORY on Saturday, 16 September opposite former ONE Flyweight World Champion Kairat Akhmetov. 24-year-old Adrian Matheis of Jakarta, Indonesia, is a martial artist competing in ONE Championship’s talented strawweight division. In the ONE: TITLES & TITANS strawweight tournament in August 2016, Matheis defeated both Rustam Hutajulu and Roso Nugroho via scintillating knockouts in one night to be crowned tournament champion. In his next bout, Matheis crosses paths with the debuting Phat Soda.